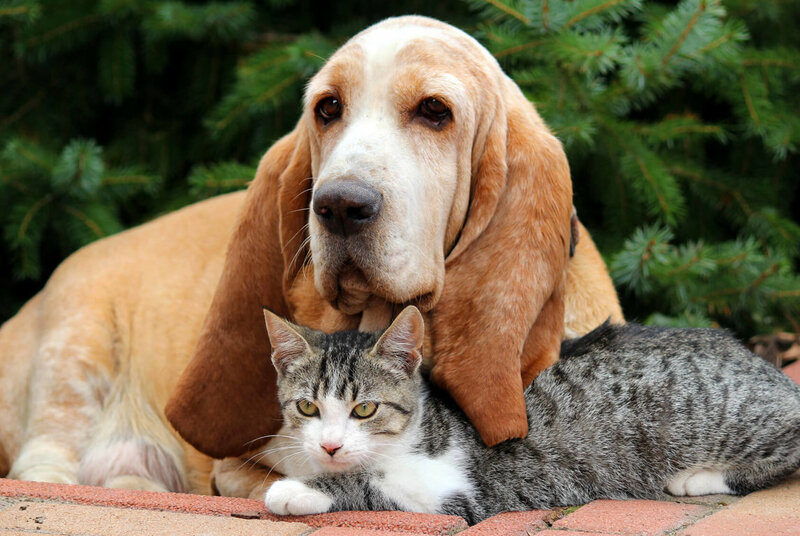 Each year, in the United States, 27 million cats and dogs are born. Around 4 million of these animals are euthanized because homes are unable to be found for them. It is a tragic end to these healthy young lives. Overpopulation is a problem that results in thousands of animals being killed each month. There are many reasons for this; all are preventable. The answer to this huge problem is simple: reduce the number of animals coming into this world. Through the routine procedure of spaying and neutering dogs and cats, there would be fewer unwanted animals, thus reducing or eliminating the heartbreaking process of euthanizing innocent animals left in our overcrowded shelters. One group of people cannot personally take the blame for this overpopulation epidemic since there are many contributors to the problem. The responsibility is shared by irresponsible guardians, pet shops, puppy mills and professional and "backyard" breeders. Just one litter of puppies or kittens can be responsible for reproducing thousands more in just a few years. While there are many breeders and pet shops, the greatest cause of the overpopulation tragedy is individual caretakers who refuse or are afraid to get their companion spayed or neutered. Sometimes parents want their children to experience "the miracle of birth"; other times people let their non-spayed/neutered animals wander, and their companion animals end up mating with other companion animals. There are also people who are genuinely uncomfortable having their companions neutered, "taking away their masculinity," which often results in accidental mating. All of these factors add up to many innocent lives that need to find homes. Another obvious contributor to the overpopulation problem are professional and "backyard" breeders. These people are contributors to a market driven by the same American ideals of buying brand name products because of the associations that go along with them; many purebred animals are bought for the same identification purposes. There is also a tendency for inbreeding in purebred animals because of certain desirable characteristics. This has led to problems, such as deafness, hip dysplasia and epilepsy. Mixed-breed animals are not the only ones who end up in shelters. A surprising fact is that purebred dogs make up 20 percent to 25 percent of shelter populations. Sometimes a family that just wanted to breed one litter cannot find homes for all the puppies, or the pet store is unable to sell the animal. The bottom line is, each animal that is purchased from a pet store or breeder potentially takes up a home for an animal that could have been adopted from a shelter. Puppy mills are facilities that mass breed dogs in almost assembly-line conditions, where dogs are considered nothing more than products. Puppy mills are able to survive because of the demand for purebred animals. The animals are usually kept in squalid conditions, with just enough subsistence to keep them alive until they can be sold at wholesale prices to pet stores. Many of these animals are prone to disease because of the horrid conditions they are raised in and the stress of being shipped over great distances at a very young age. Spaying and neutering are important steps toward ending companion animal overpopulation. They are simple surgical procedures that are done on the reproductive organs of female and male animals. The procedure eliminates the ability of the animal to reproduce and, in the long term, can prevent many difficulties, such as tumors or bacterial infections that can occur in older animals. Animals should never be purchased from puppy mills, backyard breeders and pet shops. Adopt - never shop. Adopt animals from local animal care facilities, rescue groups and shelters instead of purchasing them from breeders or pet stores. Have your companions spayed or neutered. Educate your community, friends and family about companion-animal overpopulation.